Hard work is generally perceived as a great virtue in an individual. If the ultimate goal set is very high, hard work needs to be put in invariably. It is evident from the examples of many scholars and scientists how hard work has made them illustrious world-wide. The countries which have achieved the status of massive development and admirable prosperity bear an underlying regular feature of hard work in their culture. Relentless hard work has proved successful in the case of many individuals at micro level as also for concerted groups, organised sectors, corporate entities and finally for the countries they belong to. If an individual sets for himself very lofty ambitions, he needs to put up a lot of efforts or hard work for achieving them. This is particularly true, if his current standards of intelligence (and physical fitness) are very low to meet the requirements. On the contrary, if a person is remarkably intelligent and meritorious enough, he need not exert so much effort as in the case of underblessed brains. When a man is obsessed with amassing wealth limitlessly, he drowns himself in the never-ending spree of hard work for earning money. Hard work is an inevitable part of life for greedy people. However, for the people who are well to do and self-complacent, hard work becomes a mere second option but not a compulsion. People who find it difficult to meet both ends meet, are left with no choice but to toil relentlessly to make a living. Hard work alone begets food for them. In order to live and feed their families, they resort to hard work invariably. In the absence of sufficient workforce, the ongoing tasks sometimes need to be shared by the currently working employees in an organisation if the work is to be finished within the originally conceived timeframe. If co-workers go on leave or in the case of unforeseen reduction of manforce, the present workload needs to be borne by the existing staff or workers who are expected to put in hard work to keep up the pace of progress. If the end-result of performance is suddenly set at very high levels, the existing workforce finds itself in a situation where a lot of extra hard work needs to be put in to bring out the desired magnitude of output. People are forced to exert additional efforts in their hard work, if their skills are not upto the desired standards demanded by the job. If the surroundings are not suitable for carrying out the duties, an easy job is likely to become harder. Under unbearable weather, distracting fellow men, noisy surroundings, lack of sufficient air and light either due to lack of electric power or due to the long-prevalent adverse conditions certainly make the job tougher. Un-favourable surroundings too call for an extra amount of hard work. If the health of an individual is not normal, the job at hand cannot be done efficiently. Under poor health of a worker, the efficiency is likely to be marred considerably. With dwindling health, a worker has to strive harder than normal and levitate more efforts in his hard work. If a genuine performer does not get the necessary recognition or timely incentives, he is apt to lose interest in the job and morally discouraged. 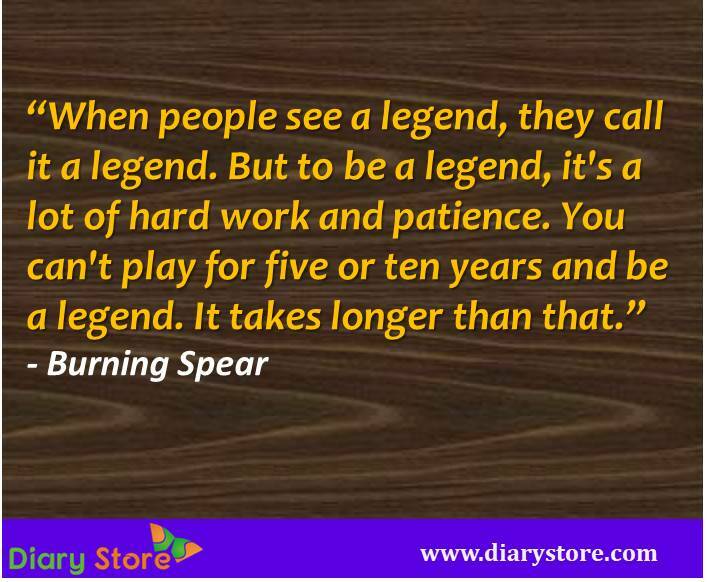 With deteriorating morale, a performer needs to put up in his hard work an extra effort which is unwarranted. When the final date of completion of a task is not very far away, the workers/staff members need to take up the extra burden of the work at hand and the expected amount of hard work gets multipled in order that the job is successfully finished within the deadline, no matter how shorter the time gap is. All the above cases of having to put in hard work relate to different scenarios. They are not generally found in all the cases since they are only seen under certain special circumstances or in the case of people with specific levels of mental faculties or attitudes or inclinations. Keeping aside the above exclusive circumstantial cases, if we seek to find out the significance of hard work in the lives of great eminent people we would get to arrive at an entirely different answer. Hard work need not be always done under compelling circumstances but it is embraced out of sheer deliberate choice by humanitarians and other eminent people. Renowned people dedicate their entire lives for noble causes of achieving herculean tasks by shedding sweat and blood. 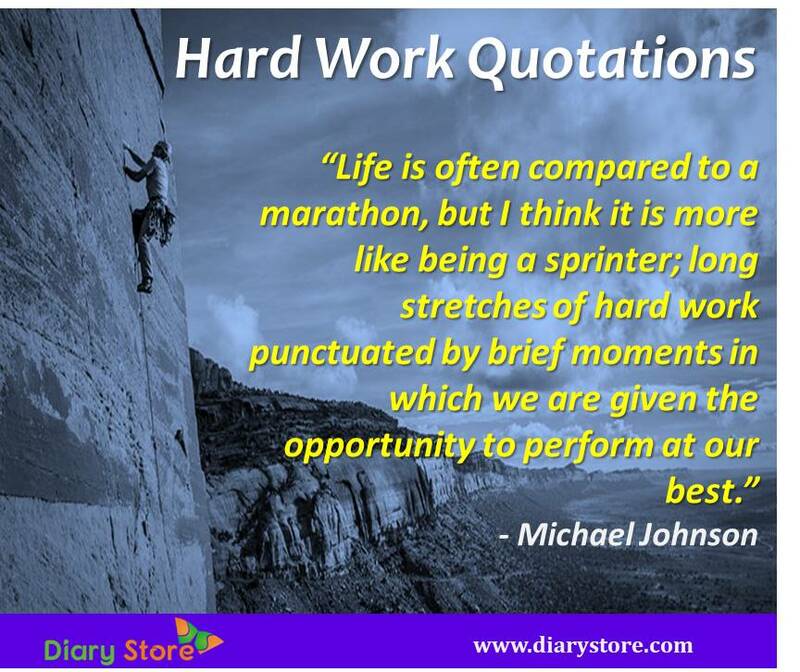 If their endeavours are to be described, the word “hard work” seems helplessly inadequate. People like Mahatma Gandhi, Nelson Mandela and many innumerable selfless freedom fighters braved death in carrying out their missions. If the ultimate goal is of common good for entire humanity, the noble souls do not hesitate to sacrifice their lives. 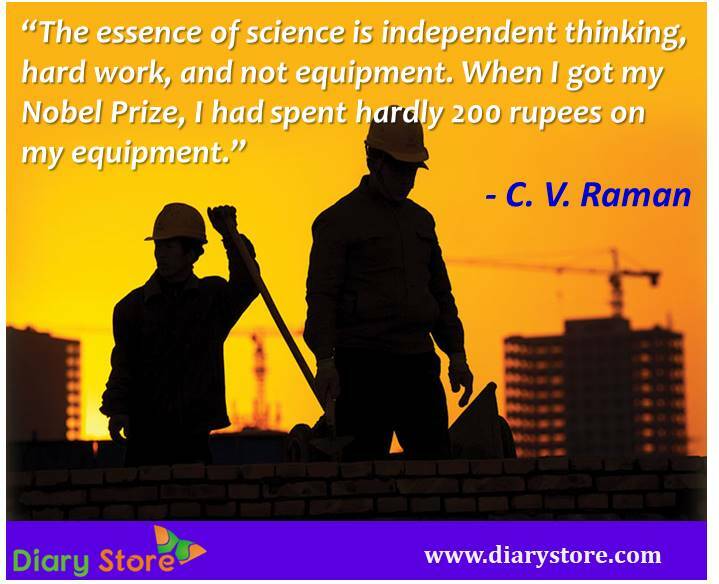 Even in the case of scientists, the research work done by them is solely based on mental and physical hard work alone. Their rock-hard determination to reach at the much sought-after goals makes them perform hard work incessantly (perhaps, ‘makes them undergo hardships’ may be the more appropriate expression) till they arrive at their ultimate cherished goals. Mental hard work is, of course, synonymous with the research done by great mathematicians. Their minds are constantly in search of solutions in the advanced concepts. Though not on par with the level of mathematicians and intellectuals, hard work to the mind is also a routine phenomenon for the top brass executives like chairpersons, managing directors, chief executive officers, chartered accountants of behemoth corporate houses. Another unignorable category of people whose life is inextricably linked with the harshest physical hard work pertains to defence personnel who undergo rigorous training through excruciating drudgery to keep themselves physically fit for battle against enemies at any moment of exigency. Many of them end up sacrificing their lives in their duties. While the defence personnel safeguard people from enemy attacks/raids, there is a more elite class of highly skilled professionals like medical doctors and surgeons who put in both mental and physical efforts simultaneously, keenly focussed on the job during the entire period of operation which may sometimes take many hours in their admirable endeavour to protect people from premature/untimely death. Whereas the hard work or serious efforts put up by eminent leaders, scientists, scholars, defence personnel and the like are adorable, we cannot ignore the physical hard work exerted by low income earning populace like furnace workers in factories, blacksmiths, other similar labourers, farmers, construction labourers, electrical workers toiling entire day in scorching sunlight for months at a stretch. Their ever existing hard work certainly contributes massively in agricultural, industrial and service sectors to the gross domestic product of a nation and proves to be a large indicator of its magnificent growth. It can be undeniably said that hard work for a noble productive cause for the common good of humanity is the most sacred activity since it benefits not a single person but either the entire mankind or a large chunk of population. The golden words in the maxim “WORK IS WORSHIP” are truly precious in every sense of the adage and worth following in letter and spirit. "I work very hard, and I play very hard. I'm grateful for life. And I live it - I believe life loves the lover of it. I live it." "A dream does not become reality through magic; it takes sweat, determination and hard work." Hard Work Quotes "Nobody ever drowned in his own sweat." "I would rather risk wearing out than rusting out." "The best way to learn is by doing. The only way to build a strong work ethic is getting your hands dirty." "If you train hard, you’ll not only be hard, you’ll be hard to beat." "There is simply no substitute for hard work when it comes to achieving success." "Whether you think you can, or you think you can’t – you’re right." "I would visualize things coming to me. It would just make me feel better. Visualization works if you work hard. That’s the thing. You can’t just visualize and go eat a sandwich." “If you live long enough, you'll make mistakes. But if you learn from them, you'll be a better person. It's how you handle adversity, not how it affects you.